Budapest nightlife is an ever changing shape shifter, but one thing is clear. The best parties in the city are in Budapest baths. 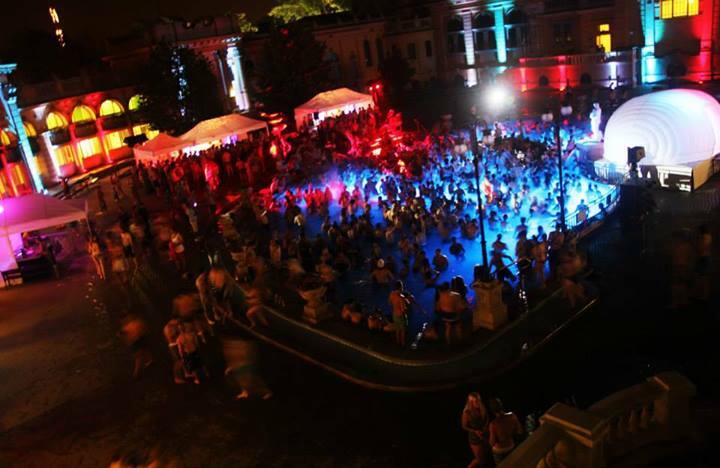 You can have a party anywhere in the world, with the same DJs, VJs, dancers, shows, but none compares with the cool parties in the thermal bath pools in Budapest. I say none. Are you curious why? Because the spa parties are so special, in warm spring waters with lots of good minerals. Just this alone adds a lot to the boring routine of partying. Pick a date for a Sparty, and enjoy! Budapest Dinner on the Danube: I felt spoilt! October 23 in Budapest – Is everything closed really?